Local.com | Gifts You Can Get Your Mom On Mother’s Day! Gifts You Can Get Your Mom On Mother’s Day! Celebrating Mother’s Day is a time-honored tradition. Back in the day, the significance of Mother’s Day was to celebrate motherhood and the joy of being a mother to someone. 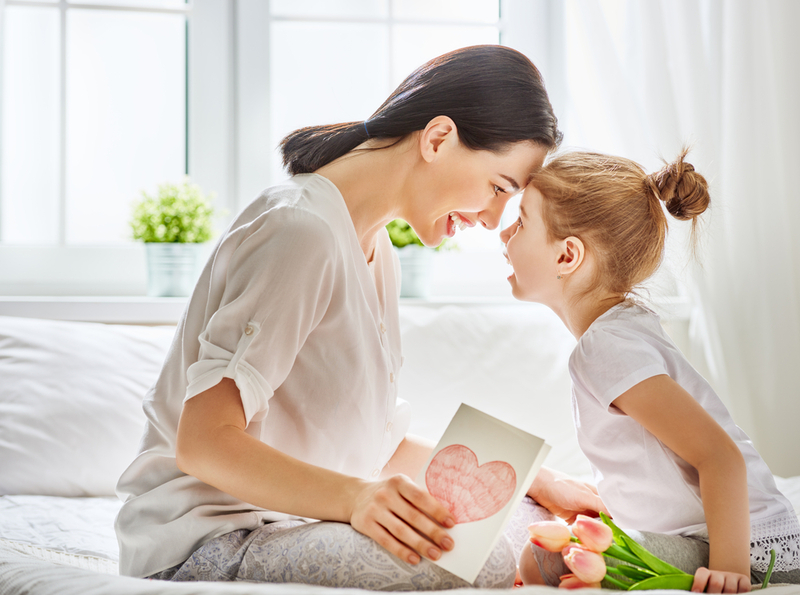 The origins of Mother’s Day can be traced back to the ancient Greeks. This day is celebrated globally in every country on different days and dates. However, with changing times, commercialization has played a key role questioning the very sanctity of this tradition. While many people are against the over-commercialization of the holiday, one cannot ignore the fact that gifts form a vital part of the celebrations. Perhaps the greatest gift of all would be to spend time with your mother and make new memories during this wonderful celebration. However, at the end of the day, if you still want to honor everything she has done for the sake of the family’s happiness, here are a few options you can consider. Instead of running to the nearest gift shop and spending money on some card that has been bulk ordered to be sold for Mother’s Day, make her a card. It doesn’t have to be fancy, it may not necessarily be colorful, and it certainly doesn’t need quotes about Mother’s Day from random people you have never even heard of. All you have to do find a way to simply express your gratitude and thank your mother for being so awesome. You can write her small poem and include a personal note with the card that tells her how much she means to you. When Action Follows Heart: 365 Ways to Share Kindness is a good read for women and will be a great gift for your mother. Susan Spencer, editor-in-chief of Woman’s Day magazine is the author of the novel. Susan discusses the different ways in which you can share kindness with various illustrated examples. It goes without saying that your mother selflessly and constantly thinks about everyone’s well being. She takes care of all the little things that matter. Small gestures always make a big difference and the same points are highlighted in this book. Thank your mother for the countless hours she spends in the kitchen preparing delicious meals for you and the family by getting her a customized apron. She works hard and takes meticulous efforts to make every dish perfect. Moreover, providing three full meals a day for the family gives every home cook a sense of satisfaction. For this Mother’s Day, you can get her a customized apron with a personalized message like “Best homemaker!” or “Best mom ever!” or “You are awesome!”. The personalized message is a custom touch that will let your mother know how much you appreciate her taking the time and efforts to prepare meals for the family. Commercialization has opened up multiple avenues for websites and gift shops to help you create personalized gifts that your mother would absolutely love. Customization tools offered by websites allow you to add her name, photo, monogram, or even her picture to any gift you plan to buy. Custom engraved jewelry or even a jewelry box with a personal message will make a really good personalized gift this Mother’s Day. Give her a day off and do everything that she manages to do around the household. Surprise her with breakfast in bed and she won’t even mind if the breakfast is slightly on the burnt side. To her, your effort is what really matters. You can clean the house, do the dishes, and even do the laundry. You can also take her out for lunch followed by a short trip to the salon afterward for a mani-pedi. Take her out shopping and make sure you visit all the places you can think of where she will be able to buy without any hesitation. In the evening, you can take her out for a lovely dinner at her favorite restaurant and not only order each one of her favorite dishes but also the dessert. At the end of the day, make sure you tell your mother how much you love her. Tell her how lucky you are to have her in your life time and again. You should never get tired of expressing your love and respect for her and more importantly, never take her for granted. Be appreciative, supportive, and just be there for her when she needs you.